Verjuice - A medieval flavour revival of a very simple old favourite. Verjuice* or Vert Jus (Green Juice) in French refers not to its colour but to its main ingredient, unripe (sour) fruit. In medieval times, across much of the Mediterranean and Middle East regions and in England, when sour was perhaps a more widely appreciated taste than now, the term, verjuice, could refer to the unfermented juice of a variety of unripe fruits, from grapes to crab apples, sorrel, gooseberries to plums. Verjuice was used to give depth to flavours and add a delicate tartness to all kinds of sauces, condiments, mustards, stews and meats. However, following the introduction into Europe of the tomato (C16th) and lemon (C19th) the popularity of verjuice gradually declined. 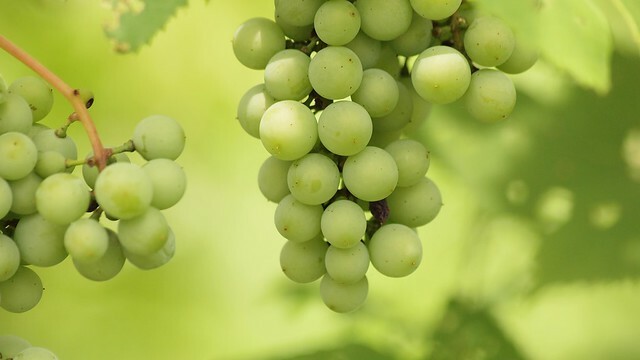 In its modern incarnation, verjuice refers only to the bottled juice of unripe grapes, normally picked during the thinning process about halfway toward maturity in late July or August when the grapes are high in acid and low in sugar. Green grapes are most often used, but sometimes red are added, creating a slightly more full-blooded product. Like lemon juice, verjuice adds a fresh tartness to a wide range of dishes but it is more gentle and subtle with a slight but definite undercurrent of vegetal sweetness. Indeed verjuice has the tartness of lemon juice and the acidity of vinegar but without the bitterness of either. Consequently it complements rather than masks other flavours. This is because its tartness is derived from tartaric acid (the same acid found in wine) as opposed to the citric acid of lemons or the acetic acid of vinegar. Today, verjuice remains popular in the Middle East where it is used as a marinade for fish and in both vegetable and meat stews but it has attracted increasing interest elsewhere and is being used in new ways to enhance flavours. It is used, for example, to deglaze pan juices, as a substitute for citrus juices in desserts and as a dressing for salads. It is also served as an aperitif and mixologists incorporate it into syrups and cocktails. Verjuice is now commercially available with producers in Australia, New Zealand, South Africa and the USA.